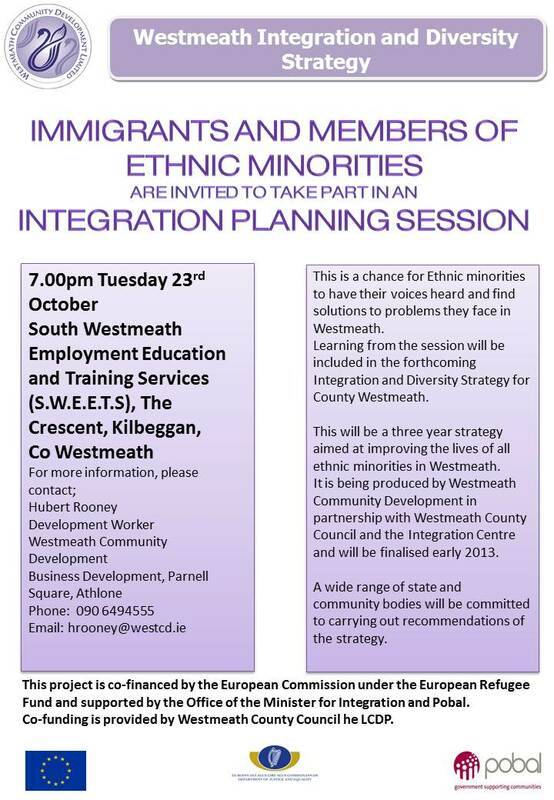 This is a chance for Ethnic minorities to have their voices heard and find solutions to problems they face in Westmeath. Learning from the session will be included in the forthcoming Integration and Diversity Strategy for County Westmeath. This will be a three year strategy aimed at improving the lives of all ethnic minorities in Westmeath. Integration Centre and will be finalised early 2013. A wide range of state and community bodies will be committed to carrying out recommendations of the strategy.